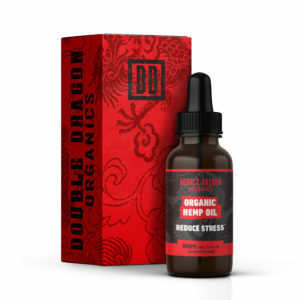 ✅ The Double Dragon Organics Anti Anxiety Formula helps relieve Panic Attacks, Social Anxiety, Post Traumatic Stress, Shortness Of Breath and promotes a Calming Effect, Relaxed Mood by increasing Serotonin. NATURAL FORMULA – All ingredients in our Double Dragon Organics Tranquility supplement are wholesome, natural and safe. Our dietary supplement is developed with a UNIQUE BLEND of essential vitamins, minerals, and herbs for brain health and overall healthy living. SAFETY COMES FIRST – We believe our customers deserve quality products that are both effective and safe. From formulation and manufacturing to quality control, we adhere to the most steadfast industry standards. 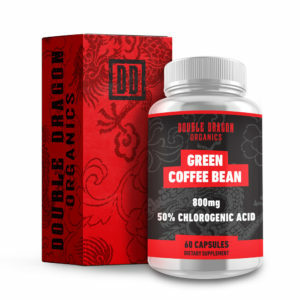 PROUDLY MADE IN THE USA – Double Dragon Organics formulates and manufactures all its supplements in the United States. Our customers trust us because they know all our manufacturing processes are performed with a commitment to highest quality and safety. HAPPY CUSTOMERS – We care deeply about our customers’ satisfaction. That’s why we are confident our Anti Anxiety Supplement will help men and women of all ages lead a healthier and happier life. Give our Double Dragon Organics Tranquility Supplement a try; you have nothing to lose. INVESTED IN HEALTH – At Double Dragon Organics, we believe everyone has the power to achieve healthy change. True change takes plenty of effort and sacrifice, and that is where we come in. DDO is committed to developing natural dietary supplements that give those in pursuit of healthy living the advantage they are looking for. Together, health is not a dream but a reality. Add to cart now worry-free with our 100% money back guarantee. I have a lot going on in my life of late and decided taking something could help. I’m not so sure it helped with my stress but I do think it helped with my anxiety. I notice a difference when I don’t take it so I think it is helping. I have taken the supplements for about a week now and have already felt a calming relief. This product works great. I seem to carry my stress with me no matter how relaxed I am. These have helped my body to relax now and the pain I would get with all the stress has seemed to go away a little bit at a time. A short while after I ate my first one, I became calm and happy. Later that day, some anxiety was developing, but Double Dragon Tranquility kicked right in and calmed it; unexpected how well they work for me, very pleasantly surprised. This definitely took the edge off at times but it doesn’t handle serious stress enough. I have been using these pills and it will help you to be calmed, relaxed and it will help you to concentrate. I take two or three during the day and my stress will go away. Have only been taking for a few days. Have noticed a improvement in anxiety. I do not take the supplement everyday. I have tried many otc sleeping pills. These work great. After i have had a stressful day at work i like to pop 1 or 2 pills about 30 minutes before bed. They really help shut down my mind. Also if i want to take a nap on the weekend i will take 1. This allows me to sleep for a an hour without the normal groggy feeling i get with other pills. Negotiating the sale of the house as we pack to move. This product has been amazingly effective in a highly stressful situation. I’ve remained calm, no matter the chaos. Highly recommended. I don’t think I’ve been taking these ling enough to really leave a full review, however, I feel like they have been making a difference in how I react to stress. I’m a single Mom of four and I’m in the middle of moving to a new state. As you can imagine, there is a huge amount of chaos. I’m dealing with it surprisingly well. I will update this review as I come to the end of the bottle, and unless I find some side effects I have not yet discovered, I will probably purchase another bottle to give this product a fair chance. I over stress about everything, which often leads to me developing tension headaches. Since I began taking this product, I feel calmer and I have had fewer headaches. I have only been taking it for a couple of weeks and I do occasionally forget to take them, but i have noticed a difference in my overall mood. well, I have been taken the Double Dragon anti-anxiety pills for about a week now, and so far I haven’t seen that big of a change in my anxiety as of yet. but I have only been taken them for a week. so far they are not bad. there is no after taste. easy to swallow. the first day I took them I did feel sleepy, but that might be because I didn’t sleep well the night before I started taking them. over all, I will see if they help me once I finish the first bottle. if they do, then I will be ordering more. I liked the taste and the smell of the pills. I used it for a few weeks and really saw my anxiety level out. It helped me relax and made me feel better. Bought this item for my husband who is experiencing some very stressful times. Unfortunately, he says this product has not made any kind of difference at all in his moods. Perhaps it’s just his body makeup but definitely not his kind if product. This seemed to work but this product made me have awful gas. When I stopped using it the gas stopped. When I started it again the gas started again. So needless to say I stopped because having gas does not make me happy. I would not discourage anyone from using it because it worked for me mentally but gave me tummy issues so that was the end of this product for me. I’m really happy now. 2 weeks now using and I will be buying again before I run out. it has been really great for my ocd… helps me get some sleep! Helps take some of the edge off when anxiety strikes. The vegetable Capsules are easy to take and the ingredients are of high quality. Recently I’ve been having pretty significant issues with anxiety + panic attacks. It has effected my sleep, relationships and work life. 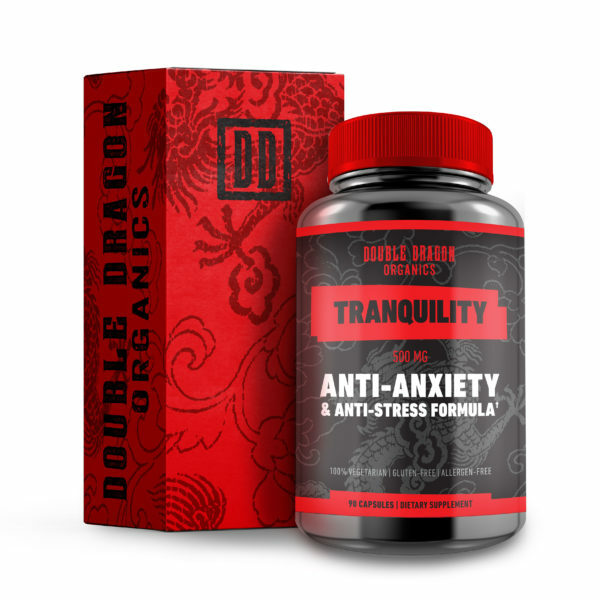 After taking the Double Dragon / Tranquility supplement, my anxiety becomes much more manageable – it allows me to rest at night without knocking me out, and increases my focus/function during the day. Pretty fast absorption! Could be psychological, but definitely felt a difference. Worked well for me, had tried a few different herbal supplements but this has worked the best. Helps keep me off of prescription medications. I took this supplement along with melatonin to help me sleep and it worked great! I absolutely love this product. It was effective in helping me diffuse anxiety and helped me get peaceful rest. It worked wonderful for my stress, and anxiety of eating, exelent product, and this is my second botle, thank you . Amazing help with anxiety and stress! I’ve been using relaxing supplements for about 10 years, this is one of a variety of my first choice products since it’s really easy on the stomach. There’s certainly products stronger than this but this is up there with other effective products and worth trying out. I’d describe the feeling as effective with physical symptoms of anxiety as well as physical symptoms from being sensitive to caffeine. Mentally the only thing I notice really is it has that GABA feeling to it which I’m sure most people are familiar with even if they don’t have a name for it. Effects on mood: no changes to happiness or sadness from the pill itself, it’s mostly just a calm feeling which in turn makes it easier to achieve happiness. I’d suggest using preventatively, with the way my body works at least 30 minutes before I need the effect. Haven’t noticed how long it lasts because it’s too stubtle to notice that sort of difference right away. I take one of these per day before bed, and I’ve noticed a difference after a week or so! I would frequently get anxious before bed, but taking one of these pills each night has helped reduce that anxiety. I am sleeping better! Good product. The best anti-anxiety product. Gives you a calm and relaxed feeling. I’m on my second bottle and have found this to be a good addition to other vitamins I take. It took a few weeks, but I seem to notice a difference. I have tried a few different anti-anxiety types of supplements; this one REALLY works! The intrusive anxiety prone thoughts are much easier to deal with and I feel as though the issue at hand is manageable instead of overwhelming. I highly suggest them to anyone that deals with higher than usual anxiety. Thank you DD, I will be a customer for life. i really like this, it seem to help…thank you. I’ve suffered from Anxiety since I was a child and developed a chronic insomnia problem. Wanting to try something all natural I stumbled upon this and enjoy it. I’ve noticed that these pills help me to relax a lot more and helps me to focus during high stress environments. This combined with my regular counseling I feel has greatly made a positive impact on my life. Price can’t be beat either! Pretty good for the price. Would be a much better value and much more effective if the B vitamins were better and more effective forms. Very happy with this supplement. I’ve taken other ones similar to this, some good and some not so good, and this one was up there with some of the better ones. My anxiety was noticeably reduced. And after I had been taking it for about a week and a half, I actually felt like the major stressors in my life were not affecting me as much as they were prior to taking this. I would definitely recommend this for other people. feel less anxious which is neat! This product is excellent. My son has autism and has started taking it before tests and speaking or stressful assignments in school. The difference is amazing. He can stay focused, calm and not have a melt down. Thank you. I’ve been taking this for about 3 weeks now and it seems to have helped calm my anxiety a bit. I took two pills per day for 45 days and I can tell you that I am very satisfied with the results. I felt less anxious and just experienced an overall more calm demeanor. I will continue to use this product and will probably up the dosage to 3 pills per day. I also added additional Ashwaganda for a boost in the gym as Ashwaganda is shown to increase Testosterone levels at higher dosages. Product does what it says. I felt more relaxed and less stressed out after taking it. I experienced no side effects. I will purchase again. The only thing I would complain about is amazons big sticker that covers a large portion of the bottle. If it was placed in the wrong spot you might not be able to read the nutritional information or the directions for use. I guess you can always just go look at the images again. Anyway.. its working for me very well I have been using the pills for a couple of days and already im noticing a big different It used to hit me just before and during social interactions and Im noticing that its not. Great pills. I do recommend for anyone with similar problems. I like it. It seems to help with my anxiety.